Start saving those pennies and start making those shopping lists! 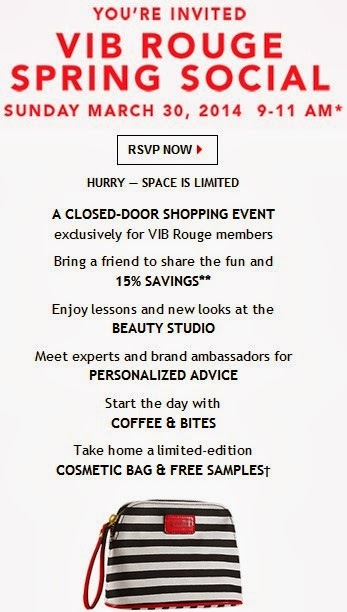 VIB Rouge members get ready! 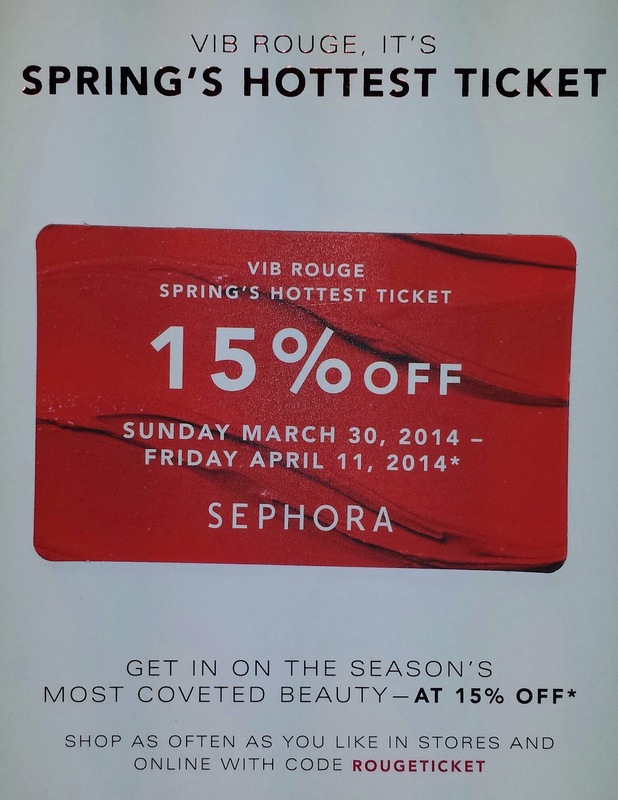 In select cities **see exclusions below** Sephora is hosting a VIB ROUGE SPRING SOCIAL. Rouge VIB members who RSVP will attend a closed-door shopping event on March 30th for two hours (9AM to 11AM - store hours may vary). Along with this event is a 15% off shopping pass to be used multiple times online (use code: ROUGETICKET) or in store. The shopping pass is valid starting Sunday, March 30th through April 11, 2014.That's thirteen whole days to shop, shop, shop!!!! 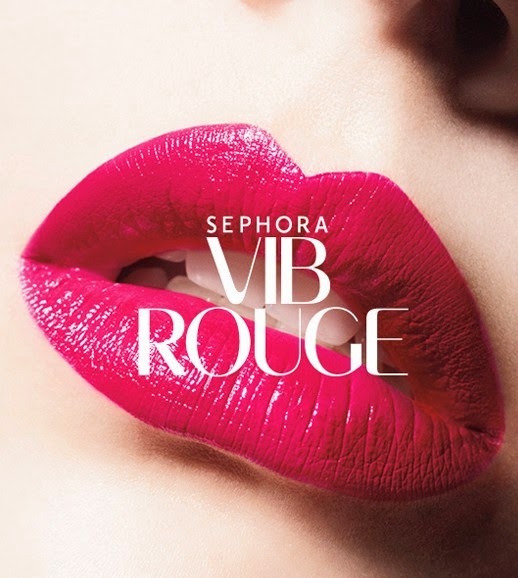 RSVP at SEPHORA.COM/ROUGE-RSVP by March 28, 2014. US and Canada stores only. Event will not be offered at Sephora Paramus Park Mall, Sephora Westfield Garden State Plaza, Sephora Downtown Salt Lake City, or Sephora inside JCPenney stores. For additional exclusions see the Sephora website.